Drawn from the extensive holdings of the National Archives--which includes all of the Presidential libraries--these carefully chosen letters remind us that ours is a government "of the people, by the people, and for the people," which entitles us to make our views known to our leaders. Most of the letters come from working citizens; others were written by notable figures: John Glenn, Elvis Presley, Walt Disney, Ho Chi Minh, Nikita Kruschev, Upton Sinclair, John Steinbeck, Robert Kennedy, and many more. Grouped thematically, the sections cover such topics as civil rights, the Cold War, physical fitness, joblessness, World War II, western expansion, and the space race. An introduction by NBC "Nightly News" anchor Brian Williams and essays by Dwight Young evoke the tenor of the times in which the letters were written. 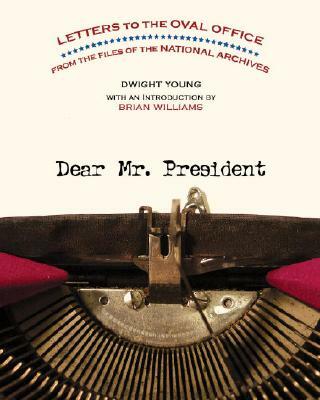 A wonderful gift book for any American, "Dear Mr. President" is both enlightening and fun to read.